← Bolivia continues to exert pressure on demagogue central government! Two years ago, Evo said he would go “quiet” had the No won … well, he is just a LIAR! 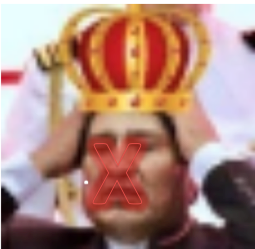 Bolivian Thoughts opinion: In more than one occasion, this egocentric caudillo said he would leave office upon termination of his mandate, had there be no violent deaths under his presidency, that he would obey the people … well, he is just a lousy petty LIAR, has no word at all, and the people had it! 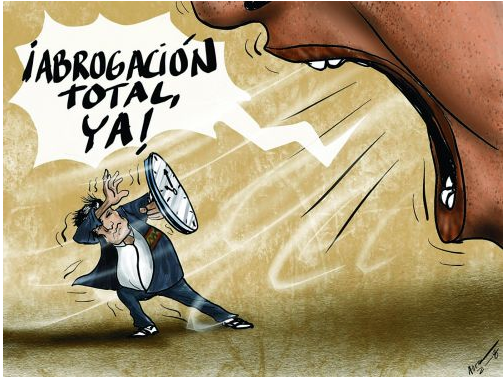 as it can be seen in Pagina Siete’s cartoon dated 01/16/2018, we do not believe him anymore, he has to abrogate the penal code! In social networks, they recalled that two years ago, President Evo Morales said that if he did not win in the 21F referendum, he would leave without saying anything. “If the people say No, what can we do, are we not going to carry out a coup d’etat?” Morales said at the time.